Here are four great examples of humility in the Bible. There is no greater example of humility in the entire Bible than you find in Jesus Christ. The Apostle Paul writes of Christ in Philippians that we should “Do nothing from selfish ambition or conceit, but in humility count others more significant than yourselves. Let each of you look not only to his own interests, but also to the interests of others” (Phil 2:3-4). I am glad Jesus didn’t look to His own interests because He prayed three times in the Garden to have the cup removed from Him, so Paul admonishes us to “Have this mind among yourselves, which is yours in Christ Jesus, who, though he was in the form of God, did not count equality with God a thing to be grasped, but emptied himself, by taking the form of a servant, being born in the likeness of men” (Phil 2:5-7). What if Christ said, “No one else is being crucified who is innocent? Why do I have to die, I didn’t do anything,” instead, “being found in human form, he humbled himself by becoming obedient to the point of death, even death on a cross” (Phil 2:8). Jesus gave up the glory He had in heaven. He gave up His place on the throne where God rules the universe. He gave up His power to defend Himself but willingly gave His life as a ransom for many (Mark 10:45). He loved us so much that He died for us. He endured such shame, ridicule, scorn, torture, humility, and an agonizing death on a cross. Now that’s humbling oneself to the point of death! What greater humility is there? 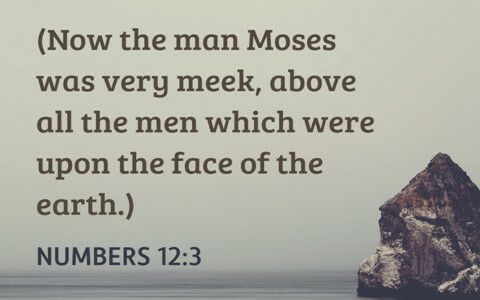 …meekness and humility are from the same mind. When Paul was writing to the church at Philippi, he reminded them about Timothy that “I hope therefore to send him just as soon as I see how it will go with me” (Phil 2:23), “and I trust in the Lord that shortly I myself will come also” (Phil 2:24), but he was going to send Epaphroditus, and wrote “I have thought it necessary to send to you Epaphroditus my brother and fellow worker and fellow soldier, and your messenger and minister to my need” (Phil 2:25), because “he has been longing for you all and has been distressed because you heard that he was ill. Indeed he was ill, near to death. But God had mercy on him, and not only on him but on me also, lest I should have sorrow upon sorrow” (Phil 2:26-27). Now here’s where Epaphroditus’ humility comes in. Paul writes that the church should “receive him in the Lord with all joy, and honor such men, for he nearly died for the work of Christ, risking his life to complete what was lacking in your service to me” (Phil 2:29-30). Epaphroditus nearly died for the sake of the gospel. Perhaps it was from exhaustion or exposure to the elements in helping Paul and delivering his letters to the church or the church at Philippi or maybe Epaphroditus was in prison with Paul for a time, but regardless of what it was, Epaphroditus poured his life into helping Paul and the church so much that he nearly died from it. He literally risked his life in order to be Paul’s servant and right-hand man. Unless someone is humble, they wouldn’t dare go this far and give this much! He esteemed Paul’s life better than his own and his own life as expendable for the gospel’s sake. That is a very profound sign of humility. If we think back on the night of the Passover meal, Jesus washed the disciple’s feet, even the feet of the one who would betray Him. That act of humility might be the single, greatest act of humility ever done in history. Here was God Himself, in Jesus Christ, taking the form of a servant and washing the dirty, smelly feet of the disciples…even the feet of an enemy (Judas Iscariot), to give us an example of serving in humility like He did. We have no excuse. Christ set the bar for humility. I like to think that God’s grace is like water…it always flows downhill and seeks the lowest level; it never reaches the high and lofty places, but only to those who are low, meek, and humble.